Our advantage checking account shows you some love. Enjoy our ‘no minimum balance required to earn the Annual Percentage Yield, no monthly maintenance fee’ account and have the ability to use our newest features, such as Person to Person transfers (P2P) and a budget and planning tool. Once the account is opened, the interest rate and annual percentage yield may change at any time. Below Minimum Balance Fee Waived: The account with an average daily balance of less than $5,000.00 during the statement cycle will be charged a Below Minimum Balance Fee of $15.00. However, the Below Minimum Balance Fee can also be waived if the primary account holder maintains aggregate deposits of $5,000.00 or more. Closing Fee: $50.00 (This fee applies if you close your account within 6 months after opening). CrèmeBrulee Savings and Premium are applicable only with a transactional account, such as a checking account or money market account. They do not apply with non-transactional accounts such as Time Deposits. CrèmeBrulee Premium is charged at $5 per month, unless under special offer, and will count against the six (6) transaction limit per month. Our Goal is to show you the value of banking with us. By selecting Continue you will leave www.myebanc.com and go to a website that we do not own or control. We do not endorse and are not responsible for the products, services or information you may find there. This other site may not follow the same privacy policies and security procedures that we do, so please review its policies and procedures carefully. For your protection, when communicating with us via email, please DO NOT include any confidential information. Email: info@myebanc.com Or close this message to stay on our website. 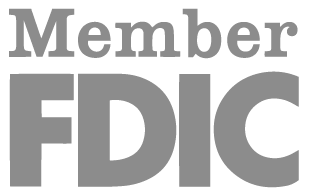 BAC Florida Bank’s FDIC Insurance coverage and are not separately insured. BAC Florida Bank® and is protected by copyright and other intellectual property law in the United States of America and by international copyright laws. Copyright © 2018. My e-BAnC mobile app. Available for download on Android’s Google Play™ Store* and the Apple’s App Store™*. *All product and company names are trademarks™ or registered® trademarks of their respective holders.